When most of us think about wildlife watching, cities are not the environments that usually come to mind. Typically, urban development is associated with habitat destruction and local extinctions. However, not all wildlife species are equally affected by human activities and some have adapted and even became quite successful in human-dominated landscapes. Sydney – Australia’s largest city also managed to retain a fraction of its former biodiversity throughout centuries of development. Birds can be easily seen in the city parks and leafy suburbs while finding mammals in Sydney requires some time, patience and knowing where to look. So what animals live in Sydney Australia? There are both native and introduced mammals living in Sydney. The most common natives are possums, gliders, kangaroos and wallabies. With a little bit of effort, you can also find echidnas, bandicoots, wombats and bats. The introduced rabbits are a common sight in the city parks and foxes can often be spotted in the suburbs. Here is the list of some common species of native wildlife in Sydney and the best spots to see them. The most common mammal in Sydney, the Brushtail possum is the second largest possum in Australia, about the size of a domestic cat. It is nocturnal and arboreal and exceptionally well adapted to the urban environment. 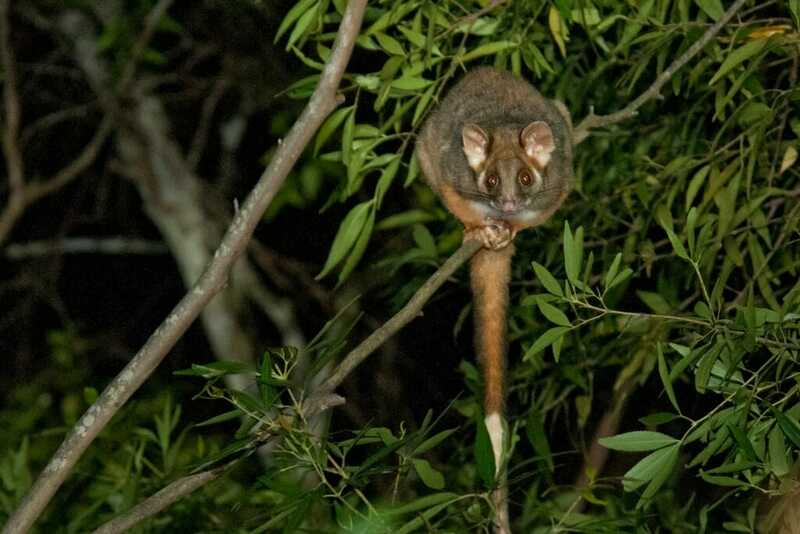 The Brushtail possum gets a bad rap for nesting in the roofs of people’s homes and creating an excessive amount of noise at night. The problem animals are often trapped and relocated to the local parks. One of the best places to look for the Brushtail possum in Sydney is Hyde Park in the city centre. Ringtail possum is another common native Australian marsupial that can be spotted in Sydney. Smaller than its Brushtail cousin, the Ringtail possum also feeds on leaves, flowers and fruit of native and introduced trees. This species is known for building large ball-shaped nests, called drey. Each possum will build more than one drey within its home range. If one nest gets destroyed the possum moves to a different one. The Ringtail possum is common in suburbia, but the best place within the city to look for it after dark is the Centennial Park. On the opposite end of the size scale, the adorable Eastern pygmy possum is all of 7 centimetres long. It feeds mainly on nectar but will also consume fruit and insects. It is an excellent climber and moves quickly and erratically while feeding on Banksia bushes. The tiny possum hibernates during winter and emerges in spring when the flowers are plentiful. A good place to spot the pygmy possum is the Royal National Park. Look for them on the flowering bushes after sunset. Another adorable mammal that can be found in the Royal National Park after dark is the Sugar Glider. It is a small possum with an extensive gliding membrane between its forelegs and its hind legs. This membrane allows the animal to glide up to 50 meters in a single leap. The Sugar glider feeds on the sap of eucalypt trees, by biting through the bark of the trees. This makes the gliders quite easy to spot while they are busy tapping the sap. The best way to see the gliders is by joining a spotlighting walk organized by the Sutherland shire Bushcare group. The Greater glider is another gliding marsupial that can be spotted in the National Parks around Sydney. It is much larger than the Sugar glider and has two distinct color morphs: dark brown and light grey. It feeds almost exclusively on leaves and buds of eucalypt trees and therefore requires eucalypt woodland to survive. The good places to look for the Greater glider is the Watagans National Park near Morisset, about 1 hr drive north of Sydney and Royal National Park south of the city. The Kangaroo is as Australian as it gets. And it is one of the most common wild animals in Australia. I am often asked “Are there kangaroos in Sydney or “Where to see kangaroos in Sydney”? And the good news is – they are not hard to find. The Eastern grey kangaroo can often be found at golf courses, particularly on the North Shore. But the best places to see wild kangaroo is Mt Annan Botanic Gardens in Western Sydney and the Euroka Campground in the Blue Mountains. 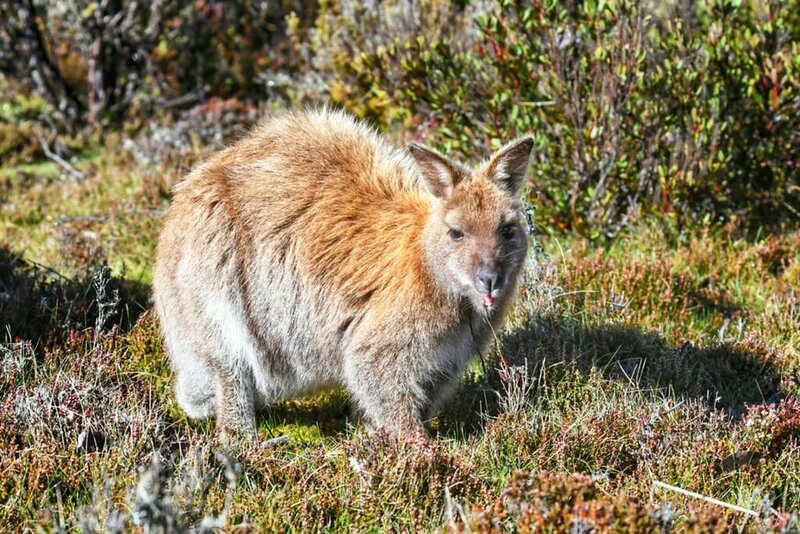 Wallabies are very similar to the Kangaroo, but smaller in size. The most common wallaby in Sydney is the Swamp wallaby. It is mostly grey in colour with the darker back and light orange chest. It prefers dense forest habitat but can often be found in the open areas. They are regularly seen in the Blue Mountains and the Royal National Park. A particularly good spot for the Swamp wallaby is The Basin campground in Kur-ring-gai National park. Although, you can find them much closer to the city – in Mt Annan Botanic Gardens in western Sydney. There are occasional nocturnal walks conducted by the gardens, that will give you a good chance to spot some of Sydney’s nocturnal mammals. Another common wallaby in the Sydney region is the Red-necked wallaby. Its name comes from the reddish fur on their shoulders and neck. 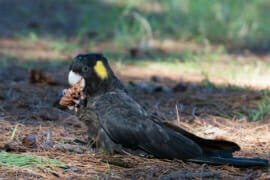 Good places to spot this species are Wollemi National Park and the Watagans Mountains. There is also a population of the locally endangered Brush-tailed rock wallabies living on the steep cliffs in Watagans in the northern part of the park at Heaton Gap. The Short-beaked Echidna is covered in fur and spines, much like a porcupine, though it is a very different animal. The echidna is one of Australia’s two orders of monotremes – mammals that lay eggs instead of giving birth to live young. 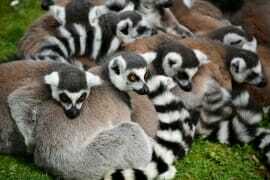 They are considered to be the oldest evolutionary branch of mammals. Another monotreme, the Platypus is so odd-looking that British zoologists believed it to be a hoax when the first specimens were brought back from Australia. It is a venomous mammal that looks like a combination of a beaver, an otter and a duck, lays eggs, and can detect electrical impulses emitted by its prey. Spotting a Platypus in the wild will take a lot of luck. The best place around Sydney to look for them is the Blue Lake near the entrance to the Jenolan Caves in the Blue Mountains. The lake is a beautiful spot to visit in its own right. It owes its unusual colour to calcite flowing in from the limestone caves. Sit quietly by the lake at dawn or dusk and watch the water for the ripples. If you are lucky, you will spot the oddest Australian native animals emerging on the surface. You could easily combine the trip to Jenolan Caves with a visit to Euroka clearing to see the resident mob of Eastery Grey Kangaroos. The closest relative of the koala, the Wombat is a stocky, short-legged marsupial that lives in interconnected burrows that it digs with the help of its long claws. To accommodate the digging lifestyle, wombats developed an interesting adaptation – their pouches face backwards, like in Tasmanian devils. 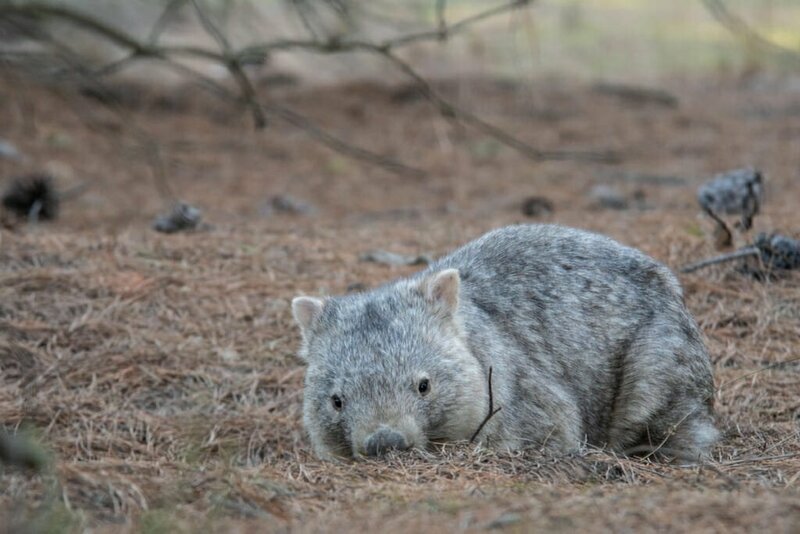 Wombats are harder to spot around Sydney than most other animals on this list, but you can usually see signs of their presence: square droppings, usually placed on top of rocks and giant entry holes to their burrows. The animals themselves are occasionally spotted in Kur-rin-gai Chase National Park and in the Blue Mountains. Alternatively, you can take a full day Wildlife Tour from Sydney with Boutique tours and explore wildlife in the Southern Highlands. Following the two species of possum, the Grey-headed flying fox is the most common mammal in Sydney. Generally, the flying fox is a migrant species that follows the available resources, but over the last few decades, the Grey-headed flying fox has established a number of permanent camps in Australia’s cities. In Sydney, a permanent camp existed at the Royal Botanic gardens, until the gardens initiated a controversial policy to remove the bats in order to preserve the trees that the bats were slowly decimating. The flying foxes can still be seen in many parks in Sydney, and there is a large colony in Lachlan Swamp in the Centennial Park. The Centennial park is also a good place to spot the microbats. In contrast to the large flying foxes, the microbats are tiny creatures, with a wingspan the size of your hand. Some microbats roost in caves, others in tree hollows, and a few species roost in man-made structures. The most common microbat in the urban areas of Sydney is the Gould’s wattled bat. Other species recorded in the Centennial park are the Southern myotis, Common bent-wing bat and the east coast free-tailed bat. Most of the other terrestrial mammals in Sydney are trickier to spot. There is a population of the locally endangered Long-nosed bandicoots on the North Head, in Sydney Harbor National Park. 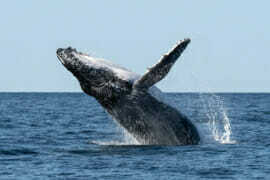 The North Head Sanctuary is managed by the Australian Wildlife Conservancy (AWC) to protect this isolated population. You can spot them after the sunset near the small settlement on the North Head Scenic Drive, opposite Collins beach road. 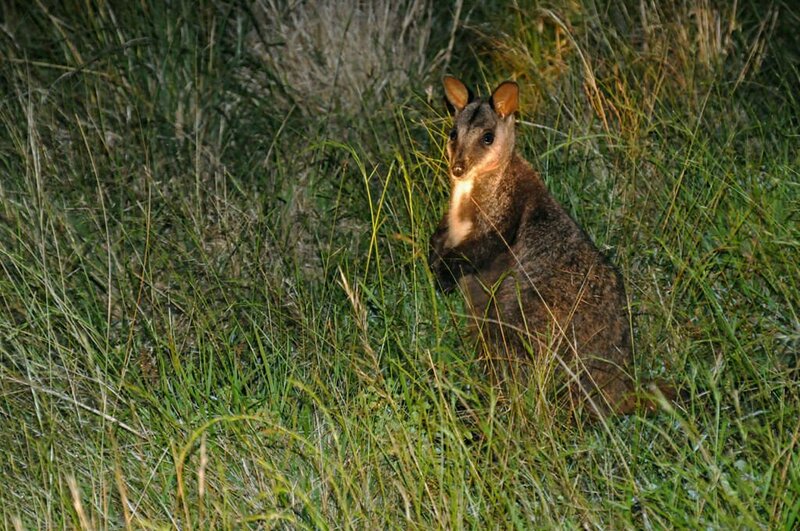 Don’t forget to reduce your speed when driving on the North Head and keep an eye out for the bandicoots on the road. 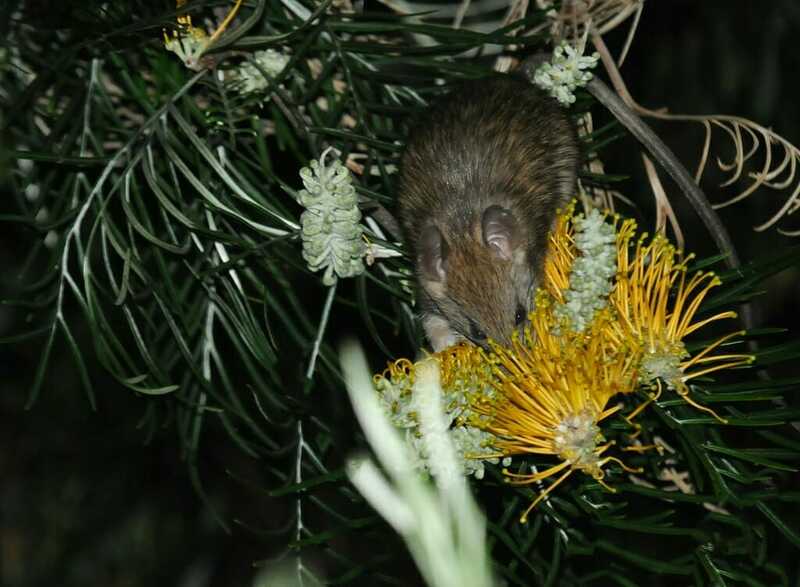 A few years ago, Bush rats (Rattus fuscipes) were re-introduced on the North Head by the AWC. It is a native Australian rodent, that can be distinguished from a feral Black rat by having a much shorter tail. The scientists hope that once the native Bush rats establish in the sanctuary they would out-compete their feral black cousins. Lucky for Sydneysiders, our city is located on one of the world’s most beautiful harbours and that introduces an entirely new dimension to mammal watching in Sydney – the marine mammals. Have you spotted any native Australian mammals in or around Sydney? I’d love to read about your sightings in the comments. I have seen an echidna in Lane Cove National Park but only once and we used to go there a lot. There are eastern grey kangaroos in Ku-ring-gai National Park. Local folklore says they are the descendants of ‘Skippy the bush kangaroo’. When the show ended the kangaroos were simply let loose. You very rarely see them in daylight but they come and eat the grass lawns of those of us who live near the park once the sun goes down. There are also swamp wallabies and I have been told there are wombats, although I have never seen one here. There used to be a huge colony of flying foxes in Parramatta Park down near the river. I assume it is still there. I thought I had seen my fair share of Australian animals in the wild. Echidnas have always eluded me although I did see echidna street warning signs. The pygmy possum is cute however, the large variety of possum is a bit of a pest over here on the other side of the ditch. Yes, echidnas are tough customers to find. I’d like to discover a local hotspot for them in Sydney. I haven’t seen a flying fox in so long! When I lived in Sydney the walk from the car port to the house was filled with bats like this one. The flying foxes are awesome. They are such an iconic feature of Sydney’s night sky. The first time I ever heard of (and simultaneously seen) microbats was in Katoomba in the Blue Mountains. I had ambitions of stargazing and stumbled upon a bunch of people recording microbats feeding on insects on the wing around the lighted Three Sisters. My friend, who considered it far too cold to be out in the middle of the night, missed it! What a cool story! Microbats are wicked little campers :). Did you see the stars that night? Great info! I wish I’d had it when I lived in Oz. And I have to say, the Blue Mountains are one of my favorite places in the world! Thanks, Dani. I agree, the Blue Mountains are stunning! Love these photos. Definitely made me want to go to Sydney soon. Flying foxes, woombats, the [possums and gliders. Really cool post. Wow! I didn’t know you could find wildlife in the heart of Sydney. 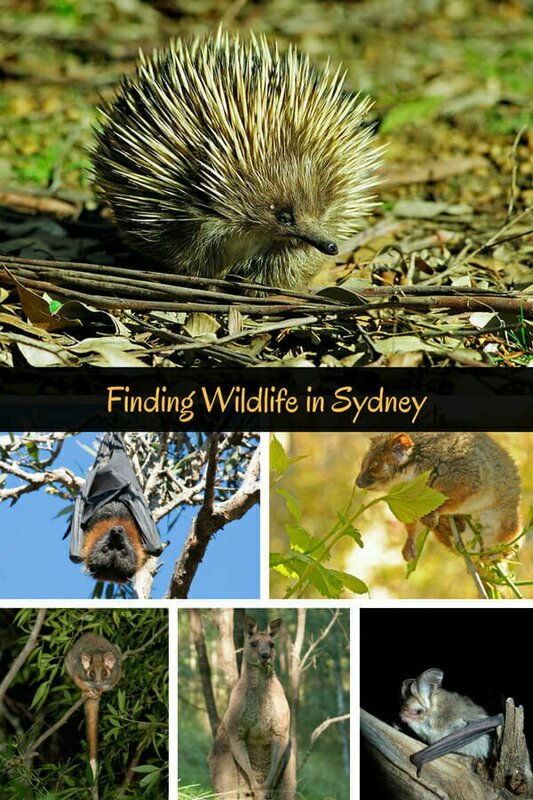 It’s hard to breakway from the image of Sydney with its harbour bridge, and the city skyline but as a keen naturalist, your post makes me want to visit Sydney and see it from a different side especially the possums and the flying foxes! I had no idea that there’s so much wildlife in Sydney! The sugar glider reminds me of the flying lemur in Borneo. Lol, the Colugo? They are awesomely weird little critters! The sugar gliders look even more similar to Borneo flying squirrels. So many animals move around by gliding in Borneo! Wow!! I didn’t know you could see platypus and wombats around Sydney?! I thought there were only a couple of places you could “reliably” see a platypus (I saw one in Eungella in QLD!). Love your photos as always! Great post! Haha I get so excited, I just booked a ticket to Australia. I will keep this post in mind when I get to Sydney!